The Faculty Senate at Wake Forest University made headlines last week when it demanded that the university reject a $3.69 million grant from the Charles Koch Foundation. Such a stance is not unusual. Many liberal faculty members and student groups are now trying to “UnKoch” their campuses. But Wake Forest’s Faculty Senate resolution goes further. In addition to demanding that the university reject the grant, Wake Forest faculty demanded that professor James Otteson and his Eudaimonia Institute be silenced. 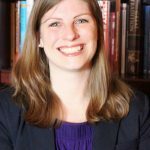 The Eudaimonia Institute started at Wake Forest last summer through a planning grant from the Wake Forest Office of the Provost. Eudaimonia is a Greek word commonly translated as “happiness” or “welfare”; however, “human flourishing” has been proposed as a more accurate translation. Professor James Otteson is the Institute’s executive director. Its programs are purely academic. The Institute’s mission is to “investigate the nature of eudaimonia…and the political, economic, social, and cultural institutions that encourage and discourage it.” To fulfill that mission, the Institute supports faculty and student research and hosts conferences and events. 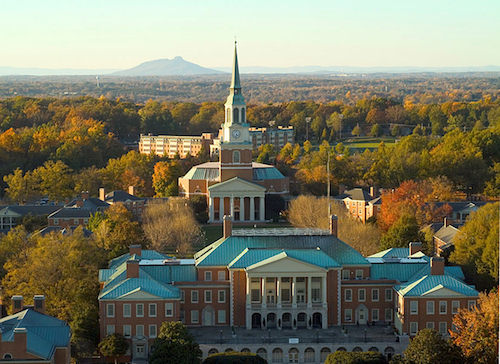 In September 2016, Wake Forest announced that the Koch Foundation had committed nearly $4 million in funding for the Institute over the next five years. After the Koch Foundation’s involvement with the Institute became public, 189 “Concerned Faculty” members signed a petition requesting a Faculty Senate review of the agreement between Wake Forest and the Koch Foundation. The Faculty Petition outlined four objections to the Koch Foundation as a funding source. It asserts that Koch funding is a threat to academic freedom and transparency, faculty governance, and the academic reputation of the university. Faculty are also concerned about the “intellectual foundations” of the Koch Foundation. Partly in response to the petition, the Faculty Senate formed an Ad Hoc Senate Committee to review the creation of the Institute. That committee moved to severely restrict the academic freedom of Institute scholars. Specifically, the Faculty Senate recommended freezing current hiring, canceling internal and external presentations, and even restricting the publication of any material to do with the Institute. Going forward, the Faculty Senate wants all of the Eudaimonia Institute’s academic decisions to be reviewed by an external committee—presumably so the committee can apply some sort of progressive litmus test to the Institute’s work. The stated reason for such an unprecedented attack on the academic freedom of a university colleague is that financial conflicts of interest may be affecting the Institute’s direction and focus. They are concerned, in other words, that the Koch Foundation’s grant to the Institute would interfere with the “proper exercise of judgment” of Professor Otteson and others involved with the Institute. But an examination of several other centers on Wake Forest’s campus proves that this sort of protest and suggested oversight is unusual. Faculty scrutiny is reserved only for donors who do not subscribe to progressive politics. The Center for Energy, Environment, and Sustainability, for example, has an expressly political and commercial policy agenda and has faced no restrictions on its operations. In fact, it does not even disclose the names of its donors. A student magazine, the Wake Forest Review, recently named two other centers on campus that have not been subject to faculty scrutiny despite non-disclosure of donors: the Anna Julia Cooper Center (led by Melissa Harris-Perry) and the Pro Humanitate Institute (which focuses on social justice outcomes). The Review says that it “has reached out to the Pro Humanitate Institute about direct and indirect funding for their institute as well as the Anna Julia Cooper Center, and is awaiting a response.” Tellingly, these centers both have progressive missions. Given this double-standard, it’s clear that of the four objections made by “Concerned Faculty,” it is the intellectual foundation of the Institute that spurred the petition. A center to study human flourishing funded by the Ford Foundation, for example, would not have been greeted with such hostility and suspicion. While this kind of hypocrisy is neither new nor surprising, faculty efforts to restrict the academic freedom of a colleague go beyond the protests we’ve seen at other campuses. In the past, faculty have insisted on transparency of donations (at George Mason) and review of university gifts that have potential curricular impact (at Western Carolina). But these tactics have targeted the administration and the donor agreements—not the faculty recipients of the grants. Academic freedom is essential to the search for truth and the mission of higher education. Heterodox and dissenting views among the faculty help strengthen inquiry and fuel learning. Wake Forest University faculty should embrace the Eudaimonia Institute as an opportunity for discovery and discussion. Upon the founding of the Institute, Professor Otteson argued that “The pursuit of eudaimonia is one of the most important goals for humankind.” It is a pursuit of which Wake Forest University should be proud.